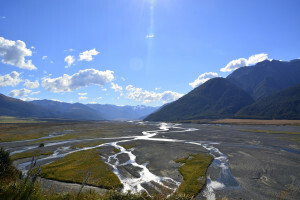 Hoping to escape the predatory sandflies of the West Coast, we chose to drive over Arthur’s pass, a well known route connecting the Tasman Sea to the rugged coastline of the Pacific. After our time in Mt. Cook, Milford sound, Queenstown, and the Haast pass, we found this pass to be a little overrated, but perhaps we’ve simply been spoiled. We did find a delightful little campground by a stream where the kids built a small bridge and occupied themselves playing in the forest for hours. The most interesting elements of the pass were found as we wended our way back towards Christchurch, coming upon a settlement called Castle Rock. It is a boulderer’s dream. 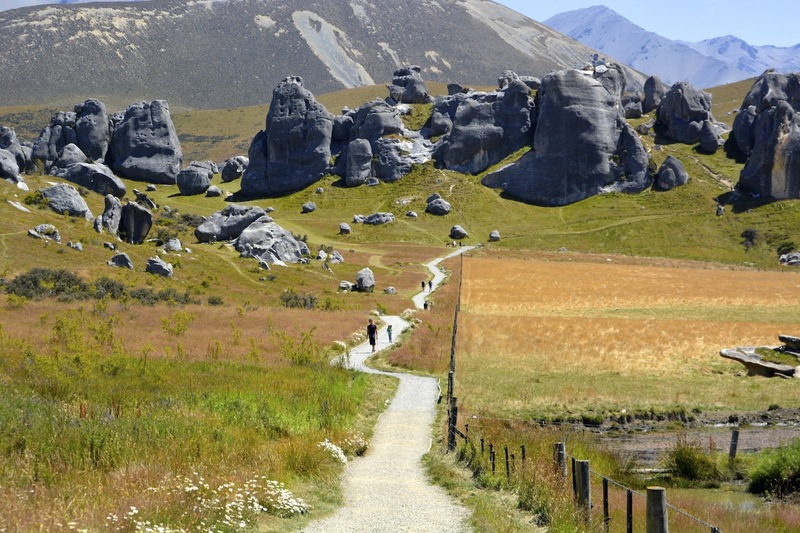 A moonscape full of oddly shaped rock formations dot the land, creating caves and arches and climbing routes galore. We whiled away an afternoon creating climbing challenges for the kids, and holding swordsfights befitting of the surroundings. Coming down to the ocean was a relief from the sandflies and also a change of pace. We found a few oceanfront campsites where the kids could play by the water and Staffan could check the surf. 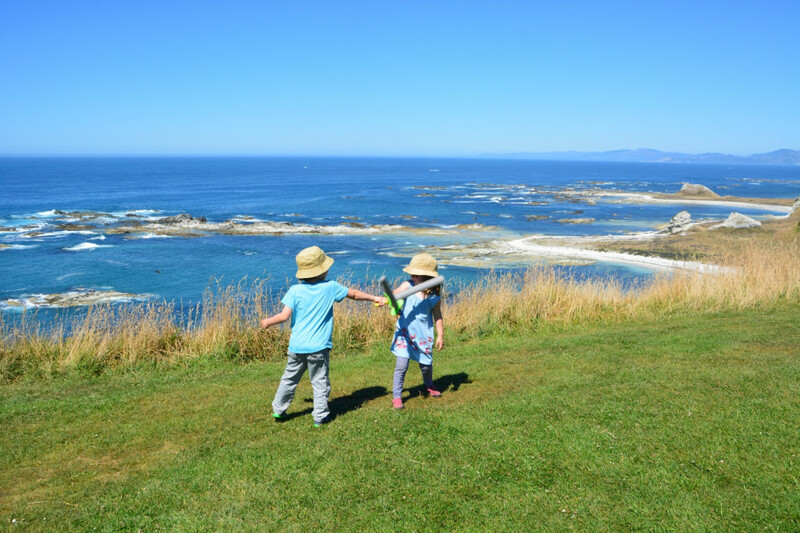 In the seaside town of Kaikoura, we did a wonderful cliffside walk along the peninsula, with views to both the ocean and snow-capped peaks of yet another range. Again we were inspired by the Shakespearean surroundings and held a duel where the victor threatened to hurl the loser to his death on the rocks below. Out, out brief candle.